Hi Steve, maybe one could introduce the concept of a core hypothesis, which at time of startup was the fundamental driver of the idea, the game changer; would not be surprising that highly successful startups have minted their core hypothesis. Great article. Thank you Steve. Excellent explanation, thanks. In summary, this reads for me as: a) It is very likely that a start-up will pivot with respect to atleast one, if not many, of the 9 aspects expressed in the Business Model Canvas. b) The definition of the product itself may not be the most likely point for a pivot. uhm hate to say this….but this whole post is flawed…. 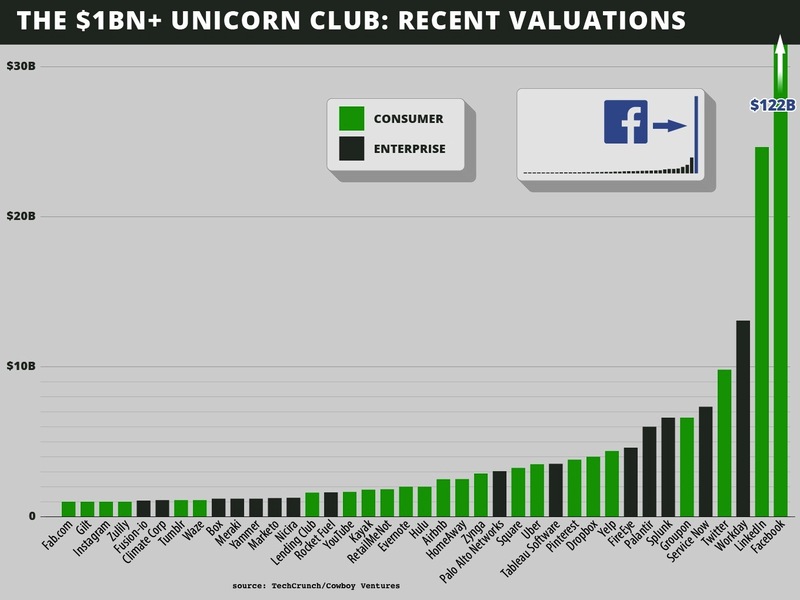 you are looking at pivots…..only for the unicorn club…..which in themselves are outliers. unless you look at the same data across a wider spectrum of exits….then this data is worthless. Sorry but with deep respect…….someone has to say it. You make a good point. From a lean startup perspective, it seems likely that those unicorns gained such success as a result of pivoting in several areas of the business canvas. At the same time,Cowboy Ventures also makes a good point, but from a more general perspective. In Silicon Valley tech startups, where product is king, the term “pivot” seems to have escaped the control of the lean startup world and is now used most often as a euphemism for scrapping an entire vision (aka failing to gain traction) and moving in an entirely new direction, like a phoenix from the fire. It also seems likely that grand success after such a euphemistic “pivot” is an extremely low probability event. Thanks for addressing the issue and clarifying it for everyone Steve. Now lets hope someone convinces the author of the original articles about “unicorns” to update it with a reference to your explanation and mea culpa as I can only imagine how many inspiring entrepreneurs were thrown off by the implication that it’s possible to hit it big on insights from smart founders. The dreamers better be reading this blog for their own good. Great point. That was a really disappointing analysis on many levels by Cowboy Ventures. First problem was sampling on the dependent variable – only extreme successes?! Thanks Steve for this wonder post! Quite informative and inspiring. I think this post is interesting: because it illustrate a point that I’ve mistaken about what a “pivot” means: I also thought a “pivot” automatically means a “product pivot”. But then I would ask: is there a “formal” definition of “pivot”? Just as is there a formal definition of “religion”? I think it may be subjective as well, although I think the winner is the one that ultimately has the agreement of most users. Great , Thanks . I live by this idea so thanks for explaining. Thanks for reminding what a pivot is! Would be quite instructive to see some familiar companies and the pivot changes they made in the Business Model Canvas for all 9 components… may be another blog post? Thank you for this post remembering us how diverse the nature of a pivot could be. But from my prospective, the value of the Cowboy Venture analysis regarding their #8 finding is to point out the special nature of the “product pivot” regarding all the others types. Indeed, the first and ultimate value of a startup revolves around the ability of the founder(s) to identify – or often “to sense” very early – that there is some kind of problem worth solving somewhere. And having some idea about the way to solve it, even if it is often still very unclear at this point. Years later, when these guys demonstrate that this has eventually led to a $ billion valuation company, then they are called “visionaries”. In the meantime, they would have probably changed a number of their strategic hypotheses and components of their business model. They may have struggled at finding a profitable revenue model and cost structure for example, thus impacting channels, key partnerships and so on… Even product features may have evolved in a way users do like – that’s where Lean Startup practices help a lot -, and customer segments may have evolved in a way the market traction is optimized – that’s where Customer Development practices help a lot -. But the product and market positioning would have NOT really changed. This is exactly what happen for most of these Unicorns, except for the 4 of them (Groupon, Instagram, Pinterest and Fab) which are pointed out by Cowbow as having done a “Big Pivot”, i.e., which have changed their initial vision of the problem worth solving and the kind of way to solve it. Note that Cowboy Ventures use the term “Big” Pivot, which I really like, because it makes clear that this initial problem/product vision is the very first key leading to such Unicorns, and that the other elements of the business model may be – and should be – adapted to it. And, by the way, this is true not only for Unicorns, but for second and third tier successful startups also! Believing in the “the special nature of the “product pivot” regarding all the others types” may not be a problem for an entrepreneur in a web startup, but it’s fatal error for an educator or consultant. There are business – web/mobile/cloud – where product/market fit is all you worry about. The idea of the “product pivot” being most important fits well here. And if that’s all you use the canvas for than one can argue that Ash Maurya’s Lean Canvas is as good or better than Osterwalders. However, if you spend any time outside those segments, the left-hand side of the Business Model canvas is as important as the right. For medical devices, diagnostics, therapeutics, semiconductors, telecom to name a few, if you don’t get activities, resources or partners correct, you have no customers and therefore no business. Pivots in these industries in activities, resources or partners are as important as product pivots. “Big pivots” are a bad term for a limited view of a narrow set of markets. Steve, I was unclear and you missed my point. I do care about the left-hand side of the Business Model canvas, and I therefore always recommend to stay out of the Lean Canvas and stick to Osterwalder’s original Business Model canvas. Even for web/mobile businesses actually. My point was not to over-considered the product/market fit. Rather to put some emphasis on the initial market problem which has been identified or sensed by founders. It is sometimes called the Problem/Solution fit but I don’t like very much this terminology. This problem is all about the founding Vision. 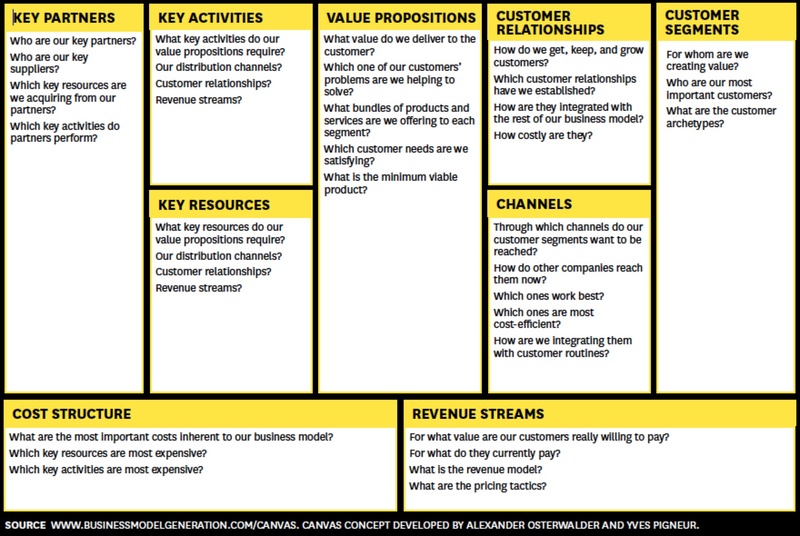 And I think the 9 components of the business model canvas could/should support it, including the Value Proposition which could be refined over time, particularly with respect to the target segments the Customer Development process will clarify. So my point was really that these founding visions have been proofed sustainable over years for the Unicorns but for the 4 mentioned. And maybe you’re right that “Major Pivot” is probably not such a good term for that, because it induces confusion with the 9 business model elements which are real execution levers, all of them! Would love to read a post where you broke down the pivots of all the unicorns. I just looked at the “Charlie the Unicorn” youtube video posted in this blog past – they stole Charlie’s kidney. Bummer!